Jesus explains that the Sabbath was a day set aside by God, for man. It was God’s gift to man, God Himself did not need a day for rest, but man is restored both physically and spiritually when we take time to rest and focus on God. It was not supposed to be a burden, but a blessing. As God blessed and sanctified for holy use the seventh day, (Genesis 2:3), He did so for man’s benefit: showing the joy of eternal rest available to us all. His intention was that man will be blessed when he properly keeps and enjoys this day of rest. In keeping Sabbath, it will keep and preserve us. But the Pharisees in Mark 2, turned what was supposed to be a blessing, into a burden for the people. God’s law did say that crops could not be harvested on the Sabbath (Exodus 34:21), this was to prevent farmers from being greedy and ignoring God on the Sabbath. It also protected laborer’s from being overworked, giving them a day to rest. So, when Jesus and his disciples went through the field picking corn because they were hungry, the Pharisees judged them as lawbreakers by focusing on what the law said and what they had done, and not on the intent of the law. However, they were not harvesting for personal gain, they were merely hungry. The Pharisees were so focused on the words of the law, that they missed the intent of the law. Gods intent with creating and keeping the Sabbath, was to bless us and promote both love for God and love for others. If we keep it, we will be blessed in rest; a deeper relationship with God; time for fun and family; time to reflect; pray; talk; time to care about the people around us; etc. 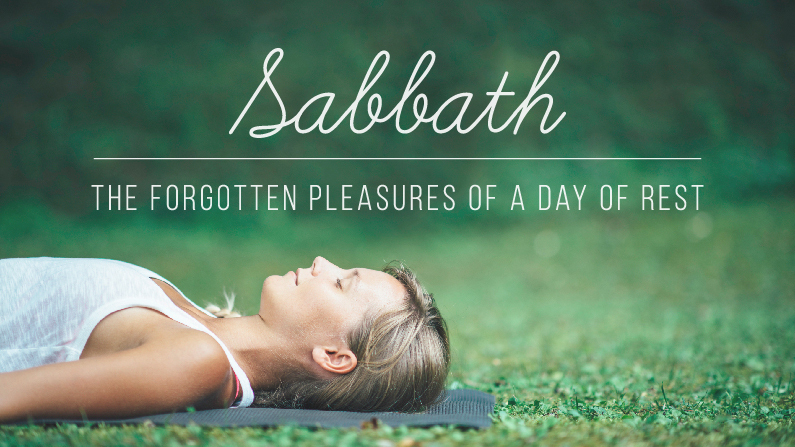 God intended Sabbath keeping because He intended for us to experience rest both now and with respect to eternity. In Mark 3:4 Jesus makes it clear that the Sabbath is a day to do good things, both for ourselves and for others. If we choose to keep the Sabbath, in keeping it, we will be blessed in ways we will not expect. It is important for us, that we don’t become so focused on the RULE of keeping the Sabbath, that we forget about the INTENT behind the creation of the Sabbath. 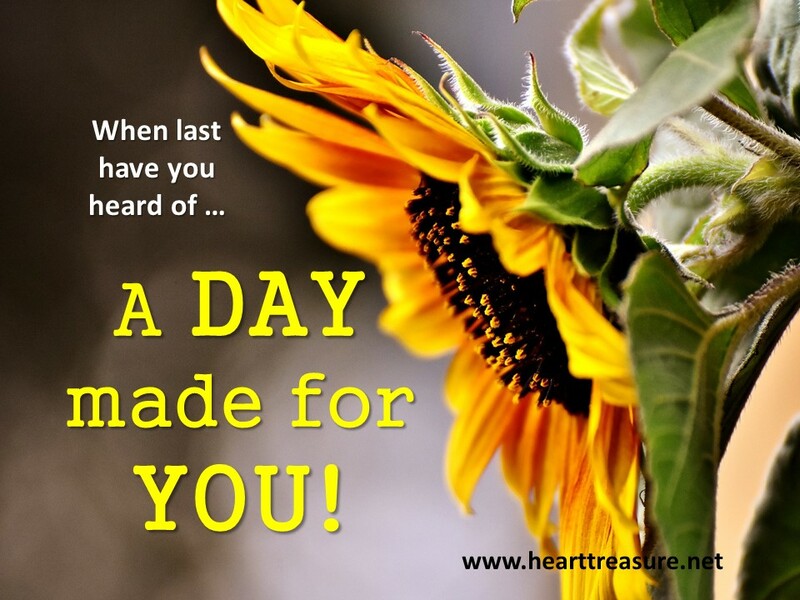 It is a day made for us: to enjoy, to rest and be blessed. If we use this RULE to discipline others and create guilt, we are forgetting the intent of this day of rest. In learning to rest, I had to deal with my own thinking around the keeping of my “Sundays to rest”. To firstly realise that I was killing the day by making it all about keeping rules. It is not about keeping a rule, it is about entering into rest because God felt it was important, so important, that He made a day for it. It is not even about which day of the week it is, it is really about God wanting me to enter into rest, for one seventh of my week, because it was good for me. Furthermore, by rest, He meant so much more than just physical rest, He meant for me to enter into all that rest means for Him. 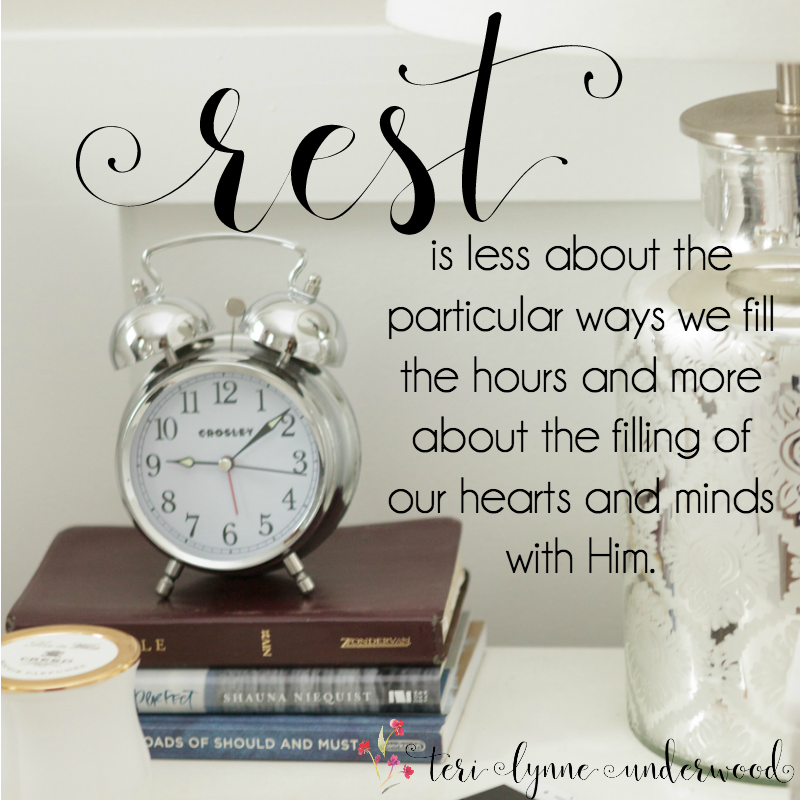 Which is why in Hebrews 4:9-11 we are reminded that there is rest for each one of us, and God, having set the example wants us to be mindful of entering into that rest that God has made for us. When last did you enter into the rest that God has for you? Father, forgive me for making Sundays about keeping rules and not understanding Your heart and intention behind a day of rest. Forgive me for neglecting to rest, whether on Sunday or any other day, and so missing out on all the blessing You intended for me. Help me to understand that what is more important is that I rest, and enter into the rest that You have for me. Help me to understand rest as You designed it and not according to my man-made rules of what rest should be.